Located in Clarksville, Tennessee, this hotel offers an outdoor pool and a fitness centre. Free Wi-Fi access is available. A cable TVis provided in each room at Hampton Inn and Suites Clarksville. A microwave, refrigerator and dining areaare included. At Hampton Inn & Suites Clarksville you will find a mini-market on site. Other facilities offered at the property include luggage storage. Austin Peay State University is 6.3 miles away. Guests will be just 5 minutes’ drive from Beachaven Vineyards and Winery. 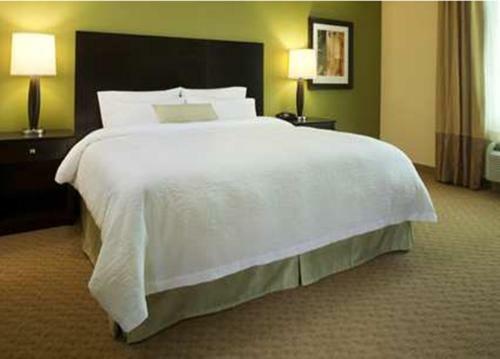 the hotel Hampton Inn & Suites Clarksville so we can give you detailed rates for the rooms in the desired period.